How do I Choose the Best Cheap External Hard Drive? External hard drives typically use the same type of magnetic platter to store data as traditional internal hard drives. It is important to purchase an external hard drive from a company with a reliable reputation. When choosing a cheap external hard drive, it is important to make sure that the product will work well and protect the files that it holds, no matter what the price. One way to choose a good hard drive is to purchase one from a company with at decent reputation. Another good way is to read customer reviews, many of which are available on the Internet. Many times, customer reviews can provide more information about how a product works in real life, as opposed to the standardized tests that many consumer magazines and websites use to test products. Although many people try to spend as little as possible on computer peripherals, if the hard drive stops working after a short period of time and leads to the loss of files, it isn't a bargain. A failed external hard drive costs money to replace, eliminating the money you thought you saved by buying a cheap one. It also can cost valuable hours for users working to recreate the files that were lost. It is possible to find a cheap external hard drive that is very well made that holds a relatively small amount of information. This can be a very good solution for people who need to transport documents between their professional office and their home office on a regular basis. A cheap external drive is often all that's needed for this purpose because it is not meant to be primary storage. Instead, it is meant to hold files temporarily while they are transported to another computer or an external hard drive that is permanently connected to that computer. In this case, if the drive stops working, little or nothing is lost and the hard drive can be easily replaced. 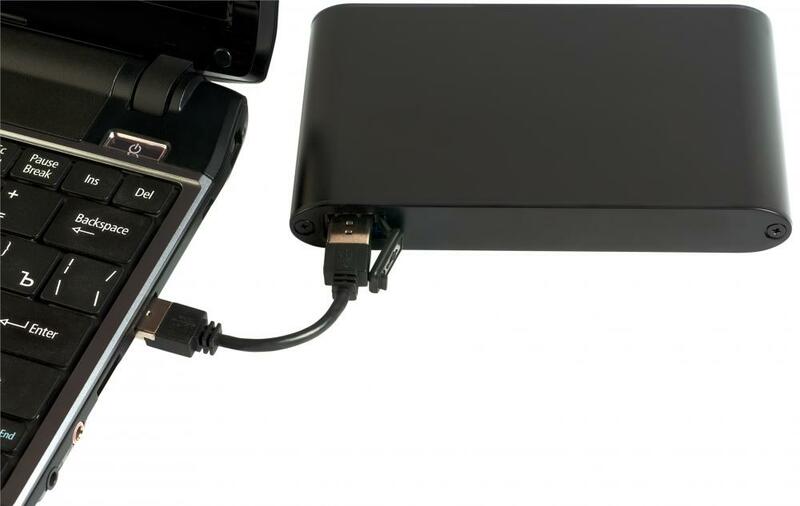 Those looking for a cheap external hard drive in order to transport files on a regular basis might want to purchase a model that comes with its own carrying case and USB cord. This way, the drive isn't rattling around in a purse, brief case, or tote where it might bump into other hard objects such as a laptop computer or mobile phone, damaging both in the process. This is also a good way to make sure that the USB cord is always with the external hard drive because, without it, it may be impossible to access the files inside. Even if the external drive does not come with its own portable case, look into purchasing something that it will fit inside of so that it can be protected during travel and commutes. How do I Format a Hard Drive? 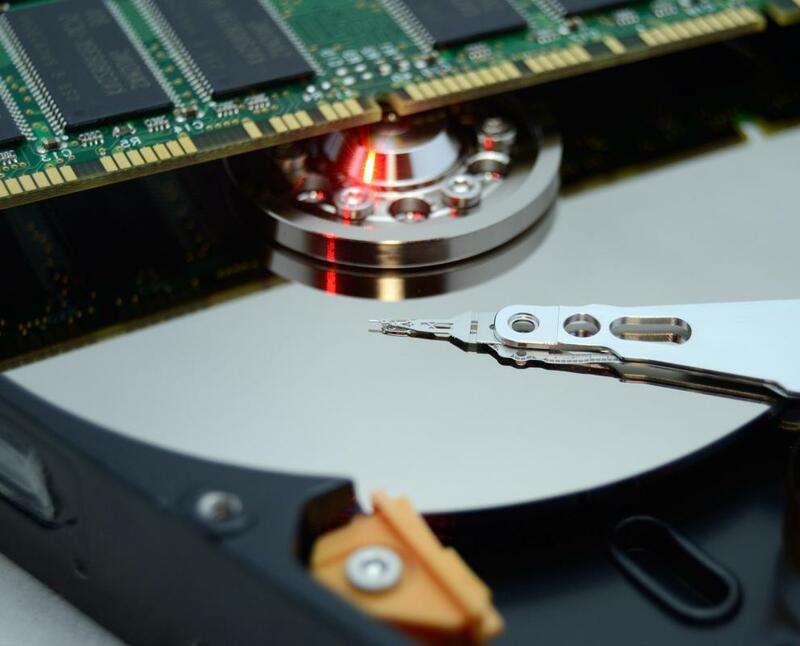 What are the Most Common Causes of Hard Drive Noise? How do I Choose the Best Desktop Hard Drive? How do I Copy a Hard Drive? What is a Hard Drive Dock? How do I Deal with a Full Hard Drive? Can I upload a program onto an external hard drive that operate on windows XP and work with the program via windows 8 and print info from it? Has anyone used an Iomega external hard drive before? How did you find it worked? I am looking for a decent external hard drive to backup all of my work and as I work with video files, I am thinking that a 1TB or 2TB hard drive would be ideal. I don't want to spend a lot on a hard drive, but so far Iomega seems to have pretty competitive pricing. Also, can anyone recommend a cheap external hard drive enclosure? I want to have a place to stack multiple drives, as I know I will need to get a few. If you are looking for a cheap 250GB external hard drive you'll find that they often show up cheap during pretty much every electronics store promotional sale. The 250GB USB hard drives are considered small these days, as everyone is getting terabyte drives for storing things like movies. I think that if you just want to backup your photos and music, and perhaps work documents, a 250GB external hard drive is plenty. Another good thing about the 250GB drives is that they are smaller than the terabyte drives. Frankly, if you are looking for a USB portable hard drive, smaller is better. Another thing to pay attention to when shopping for a cheap external usb hard drive is the amount of data the hard drive can store. Once I bought a cheap usb drive. I was very excited because I thought I got a really good deal. It turned out that the usb drive didn't hold very much data. I didn't pay attention to the package when I bought it, and I was very disappointed when I got it home. So don't be blinded by a good price! Make sure to get all the details about the external hard drive before you buy it! @JessicaLynn - Good tips! I prefer to shop sales too! I have to say though, I agree with the article when it says that it's not really a bargain if the hard drive breaks quickly. My boyfriend bought a cheap usb external hard drive awhile back. I'm talking super cheap! It was so cheap that I was sure it was low quality. Well, the darn thing broke after about 2 weeks! Luckily my boyfriend still had the files on his computer. But it was still pretty disappointing. He invested in a slightly pricier hard drive after that, and a year later it still works! I think it's definitely possible to find a cheap portable external hard drive that is also good quality. I always try to find a bargain (especially on electronics) so I'll share a few of my tips and hopefully they will help someone. First (and this is pretty obvious), shop sales. If you shop at the right time, you can get a great deal on something that is high quality and normally much more expensive. Black Friday sales are usually great for this-usually there are a lot of electronics on sale. And most people are looking for a flat screen TV or something, so you won't have a lot of competition for a hard drive. Second, shop refurbished electronics. A lot of time you can get an almost new electronic device for much less money if you buy refurbished. A lot of companies offer the same warranty with refurbished products as they do new products too!